If you saw Case Keenum walking up and down the streets of Minneapolis, you probably would not blink an eye. Standing at 6’1”, he could be described as your Average-Looking-Joe (Sorry Case), who’s always got a grin on his face with not too much to say. Despite his looks, he is much more than just your average guy; He is the starting quarterback of the 13-3 Minnesota Vikings heading into the Divisional round of the playoffs. That still does not sound right to me. If you were told his back story, you would understand that Keenum is no stranger to doubt and disbelief. 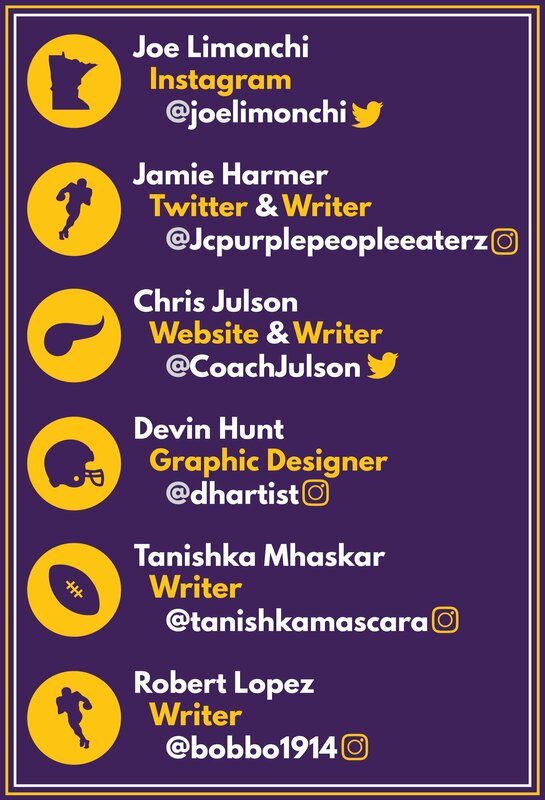 Here is an underdog story of a journeyman quarterback from his small-time beginnings to his success as a Minnesota Viking. This quote made me curious so I looked up his high school highlights on YouTube. He looked like an undersized kid with extremely good footwork and pocket presence for a high school player, but nothing stood out to me with athleticism or arm talent. However, a huge amount of credit should go to his father Steve for his footwork and pocket presence. At 6’1″, 186 pounds, his stature is no doubt considered small to play at a Division I school, and in turn, Keenum was not highly recruited. He was offered to walk on at Baylor, North Texas, and UTEP but decided to accept the only scholarship offer he would receive at the University of Houston. The injury devastated the Cougars program. After starting 2-0, the Cougars went 0-7. I find this wildly ironic considering the team could not survive without Case at the helm. Keenum, against all odds due to redshirting his freshman year, was granted medical hardship and returned for his 6th season at Houston. He went on to lead the Cougars to a 12-0 regular season before losing in the Conference USA Championship game 49-28 to Southern Mississippi. Houston was selected to play Penn State in the TicketCity Bowl, winning 30-14. Keenum ended his career passing an unreal total of 533 yards, including 3 touchdowns, in that game. He ran Houston’s no huddle offense to perfection with ungodly statistics, finishing 8th in 2009 and 7th in the 2011 Heisman Trophy voting. If Case Keenum were a few inches taller, would he have been a first round selection? I have no reason to doubt. Would I have made the same decision as NFL teams? Most likely because it was one of the highest anticipated quarterback draft classes in history. Guys like Andrew Luck, Robert Griffen III, Russell Wilson, Ryan Tannahill, Nick Foles and Kirk Cousins also came into the league. Keenum compared to these guys was not an athletic freak, undersized, and did not compete against an SEC caliber defense. Basically, the biggest knock against him that I could find was that he does not look the part to start in the National Football League. It is also worth noting that former Houston quarterback Kevin Kolb did not live up to the hype and David Klingler was drafted with the 6th pick by the Cincinnati Bengals in the 1992 draft which happened to be arguably one of the biggest busts in NFL history. Cougar-led-quarterbacks had not been successful in the NFL. As you most likely know, Keenum went undrafted in the 2012 NFL Draft. Like many other Minnesota Vikings fans, I did not know much about him until he jumped into the role of starting quarterback of my favorite team. To put it lightly, Keenum’s NFL career has been a rollercoaster. He was signed and unsigned by the Texans, spent a year on the practice squad, and then finally got his shot the following season where he posted an 0-8 record in games he started. OUCH. Not good. Draft scouts were right. So how is he still in the league? After one more season with the Texans, the Rams signed him and his play in the next two seasons eventually led to the decision to trade up in the draft to get Jared Goff. This, in my opinion, saved Case Keenum’s NFL career. How might you ask? He was arguably one of the least sought after quarterbacks in free agency this last offseason, but as I have studied his story and followed this season, teammates seem to have always rooted for him and had his back. He does things the way they are supposed to be done. Instead of being selfish and upset when the Rams traded up to get Goff, Keenum looked at it as an opportunity. He took him under his wings and taught him how to handle being a starting quarterback in the NFL. Goff appreciated Keenum’s journeyman NFL story. I imagine, somehow, that Rick Speilman took note of this and decided to take a shot at the lifetime underdog. He signed a 1-year, 2 million-dollar contract with the Minnesota Vikings, and has proven to be the steal of the offseason. You want a guy at the backup quarterback position who is going to come to work every day with a great attitude, support your starter, and be ready to go whenever his name is called. Speilman has made some great offseason transactions and draft picks in his time, but this may be his best yet. He is not the most athletic, tallest or strongest, yet he does things the way they are supposed to be done and makes the plays he needs to make. He is mentally and physically tough. I have listened to his interviews weekly throughout the season, and it shocks me that he is the starting quarterback. In my mind, he looks like a guy I would have a few beers with at the local bar. I love that. He deserves to have the support of every Vikings fan this season. He is exactly what we have been hoping for from the quarterback position since Zimmer arrived. He has been the backbone and leader of this team, arguably one of the best leaders this team has had since a guy named Brett Favre in 2009. I get that vibe due to how much fun he has playing the game and I have no doubt that would wear off on teammates. His story does not happen. It is literally impossible by odds to be a 2-star, 183-pound recruit from Texas, to three wins away from a Super Bowl. There is no telling what the future will hold at the starting quarterback position in Minnesota, and in all honesty, I am glad that I do not have to make that decision. Keenum’s legacy around Minneapolis will likely be decided in the next month. Truth-be-told, he will likely not be the reason that this team wins a Super Bowl. They are loaded with talent. The defense is unbelievably stout, and there are playmakers everywhere on the offensive side of the ball. Through the process of watching and studying Keenum’s underdog story into and through the NFL, I have realized that he is now leading a team that is not an underdog for one of the few times in this football team’s history. I have always been a firm believer in the NFL being a system league: meaning that players need to be put in a great position to succeed. 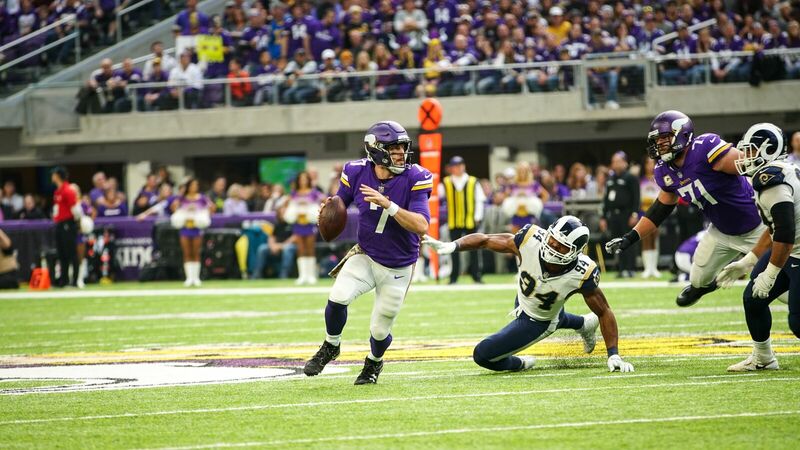 Keenum could not be in a better position right now as he is with the Minnesota Vikings, yet, not many people believe he can not beat a Drew Brees or Tom Brady. That could make him an underdog of a former underdog team turned legitimate. It resonates to his draft profile coming into the league, does it not? Maybe that is why this team has ultimately gotten behind this man. In my opinion, there is a legitimate shot week-in-and-week-out to win as long as whoever the quarterback of this team continues to limit mistakes and move the football down the field. It sounds like an easy task, but Case Keenum has played that role as great as anyone could ask for from a third string quarterback. If this season ends victorious with Keenum winning a ring, everybody for the rest of his life around the cities will recognize him, more than just your Average-Looking-Joe walking down the streets. He will go down as a hero. It will be one of the greatest underdog prove-you-wrong, (including myself), stories in the history of the National Football League. If he struggles in a playoff matchup, he may find his time in Minneapolis cut short. This team is ready to win now, but only time will tell. For now I plan to enjoy the excitement and stress of the postseason, be emotionally exhausted, have faith, and cheer loudly on my beloved couch for the guy who saved this season, Case Keenum. Man, do I appreciate an underdog. Go get it done Case. SKOL.